Communications Specialist for the Sustainable Corn project, an innovative research project in the US Corn-belt. Through research, education, outreach and partnerships with farmers, our team of scientists, from 10 universities in the upper Midwest, seeks to identify and advance farmer practices and public policies that increase Midwestern crop resilience and adaptability to a warming climate, while minimizing environmental impacts and maintaining or increasing farm profits. 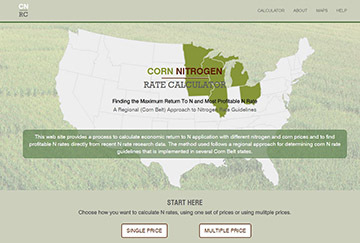 AMES, Iowa – The regional Corn Nitrogen Rate Calculator website, which has been helping farmers determine profitable nitrogen rates since 2005, now has a new URL (cnrc.agron.iastate.edu) and a revised nitrogen response trial database, and is more user friendly for mobile devices. The largest changes to the website are the updated individual state nitrogen rate response trial database and, for Iowa, the addition of the southeast Iowa region. Nitrogen response trial sites for Iowa are grouped by two geographic regions, which now matches guidelines in the publication Nitrogen Use in Iowa Corn Production (CROP 3073). The publication can be downloaded for free at the online extension store. “The site revisions allow users to have access to the latest nitrogen rate research, and it offers more tailored rate guidelines in Iowa,” said John Sawyer, professor and extension soil fertility and nutrient management specialist at Iowa State University. While suggested nitrogen rates may have changed somewhat due to the update, the concept and calculation process of the online tool remains the same. 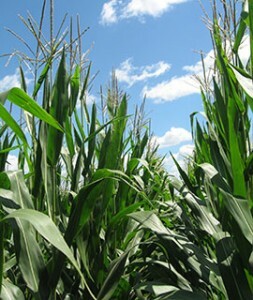 The method continues to be based on a regional approach, providing nitrogen rate guidelines in six states across the Corn Belt: Iowa, Illinois, Michigan, Minnesota, Ohio and Wisconsin. Using the Maximum Return to Nitrogen concept within the CNRC also helps farmers implement the most economical nitrogen rate inputs, which helps moderate water quality issues. 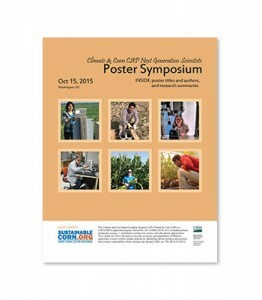 For more information about the CNRC, visit cnrc.agron.iastate.edu. AMES, Iowa – Using science-based research, Iowa State University Extension and Outreach specialists are working to improve the quality of water throughout the state of Iowa. 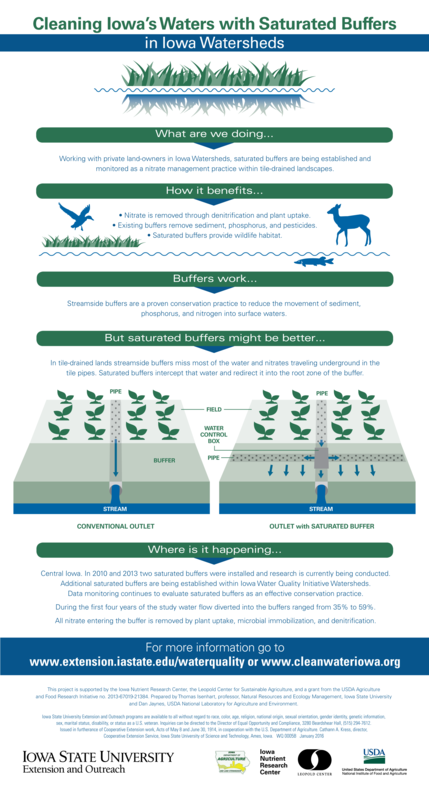 The use of saturated buffers in watersheds has proven to be a successful nitrate management practice. ISU Extension and Outreach has been forging partnerships with private land-owners in Iowa watersheds to establish saturated buffers. 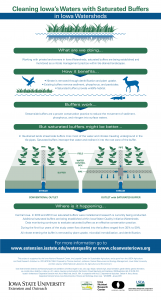 These buffers reduce the movement of sediment, phosphorus and nitrogen into surface water while redirecting water into the root zone of the buffer. The five-year USDA-National Institute of Food and Agriculture research project is nearing completion, led by Lois Wright Morton, a professor of sociology at Iowa State University. In 2011, Morton convened 140 researchers from 10 land-grant universities in the Corn Belt and USDA Agricultural Research Service, to begin a study of farmers’ perceptions and farm management practices. 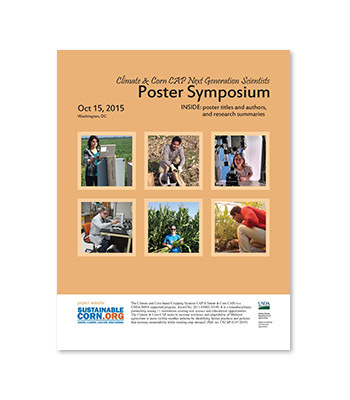 Participate to learn what social scientists are discovering about how farmers are thinking about conservation practices and practical strategies for engaging them. Emphasis of this webinar will include findings on farmer uncertainty about conservation practices, using social norms to leverage practices that address off field/off farm nutrient losses, and how the language of conservation can influence social learning and behavior change. 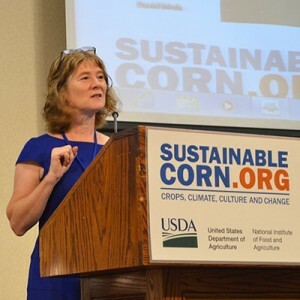 The presenter is Lois Wright Morton, a professor of sociology at Iowa State University and the Director of the Sustainable Corn Project..The Adobe Connect webinar is hosted by USDA NRCS Science and Technology and will be available on their website at the following link: http://www.conservationwebinars.net/webinars/effectively-engaging-producers-in-conservation-conversations. 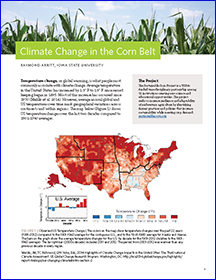 Now farmers and advisors in all 12 Corn Belt states can use the free Corn-Split N decision support tool, developed by the USDA-funded Useful to Useful climate initiative. The tool helps farmers and advisors manage nitrogen application for efficiency and profit. Corn yield response data from seven new states, together with statistical modeling of days suitable for field work in those states, has recently been added. Farmers in Illinois, Iowa, Indiana, Missouri, Kansas, Wisconsin, Minnesota, South Dakota, North Dakota, Nebraska, Ohio and Michigan can get customized results based on their planting and fertilization schedule, local costs and available equipment. A summarized fieldwork table and crop calendar makes it easy for farmers to see how schedule adjustments might affect their ability to fertilize on time. NOAA, the NCAnet Education Affinity Group, and members of the CLEAN Network have developed a series of guides for educators that focus on the regional chapters of NOAA’s National Climate Assessment Report, helping to unpack the key messages of each region and point to related, high-quality online resources. 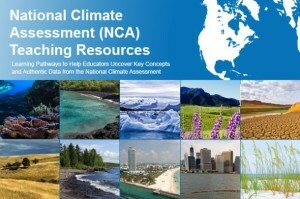 You can find it here: https://www.climate.gov/teaching/2014-national-climate-assessment-resources-educators.